Todd Yerby was born in Paris, TX and began speaking competitively in 2nd Grade through the University Interscholastic League Storytelling program. He continued to speak competitively, and compete in a variety of other academic and athletic events as well as the gifted and talented program, throughout middle and high school. Todd began college at Missouri State University-West Plains. There he was in the inaugural class of their Honors Program, a STAR student orientation leader. He was also elected Phi Theta Kappa chapter president and president of the Programming Board. Todd went on to attend the University of Missouri where he participated in their Honors Program before ultimately obtaining a Bachelor of Science degree in Communication from Missouri State University. He earned a Master of Arts in Communication from Missouri State University and a Specialist in Education from Lindenwood University. Professionally, he began his career in Corporate Marketing for Bass Pro Shops specializing in national brand management and strategic partnerships. Todd has worked at OTC for over a decade as an Instructor in the Department of Communication. For a portion of that time he also served as the Director of the OTC Speech Center. 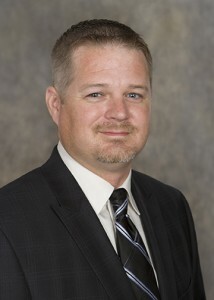 He currently serves Director of the Honors Program at Ozarks Technical Community College.